Iconic 1969 photograph of astronaut Buzz Aldrin as he plants the flag on the surface of the Moon as part of the Apollo 11 mission. 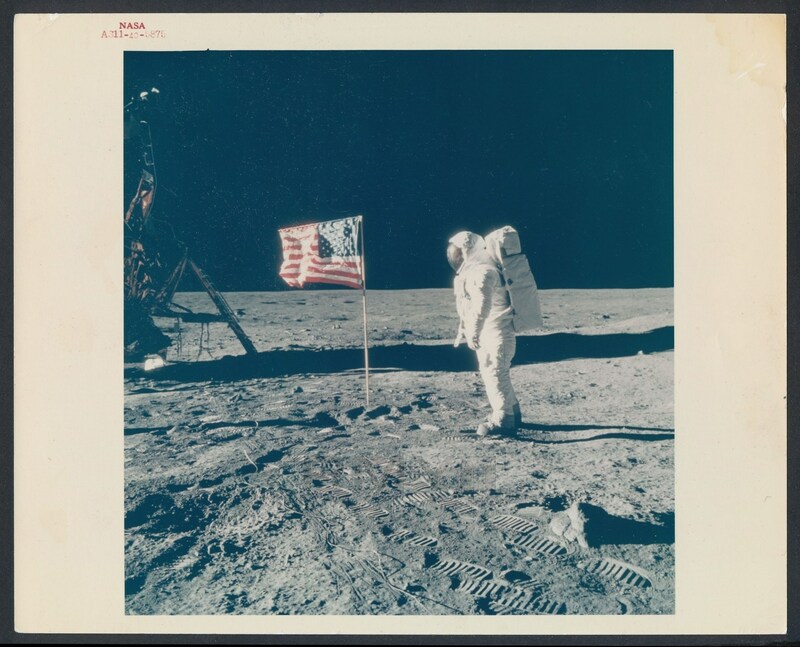 One of the most famous images ever taken, this presents here in almost perfect condition and is an Official NASA photo with the highly coveted red printed serial number on the upper left corner and the Kodak Paper print on the back. 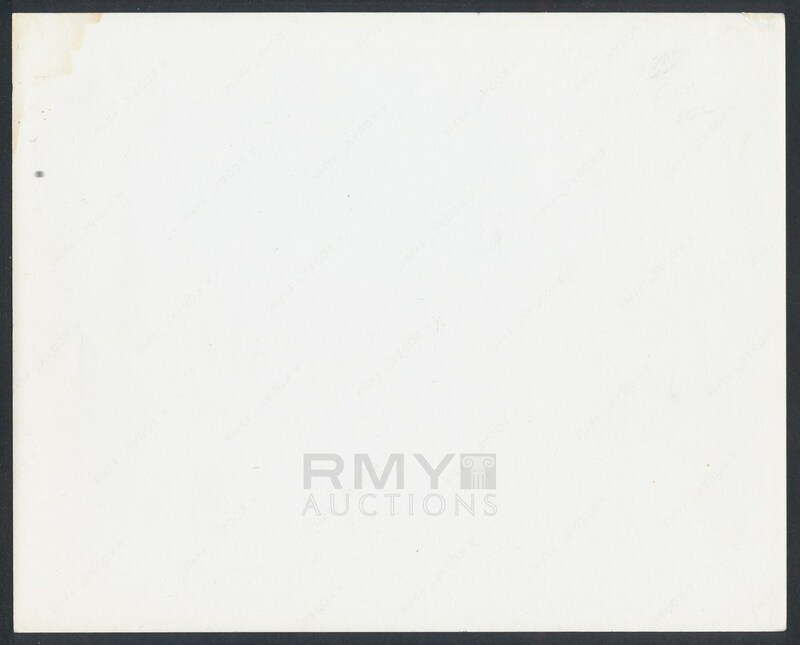 One of the only full-color originals from NASA we have ever seen and it remains here in fine condition having only some handling wear and a touch of discoloration on the paper right corner. A modern work of art, this image with the red printed NASA credit mark is as good as space photography gets!